Identifying similarities and differences among things or ideas is at the top of Robert Marzano’s list of “high-yield” classroom strategies across grade levels and content areas. In fact, Marzano and his colleagues found that teaching students to think comparatively led to an increase of 45 percentile points on performance assessments – higher than any other classroom strategy! Scroll down to find a collection of suggested pairings of HIP novels for comparing and contrasting. 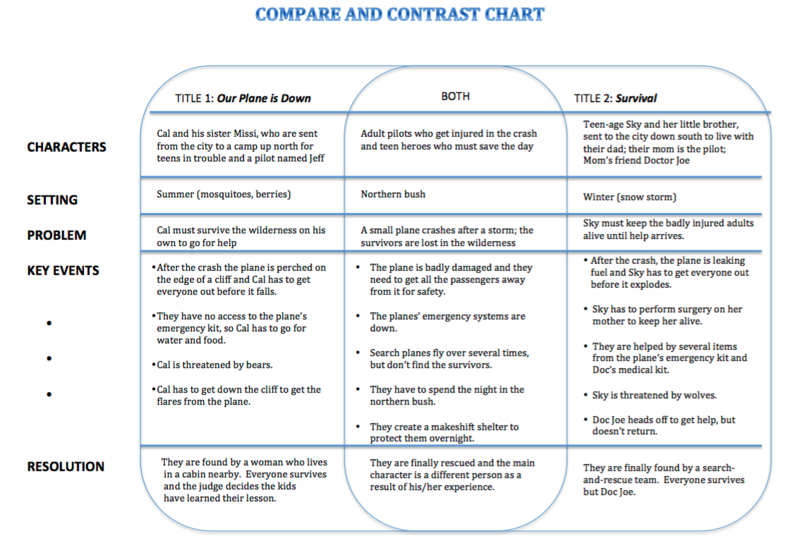 Click on the image to download a completed sample comparing SURVIVAL and OUR PLANE IS DOWN. 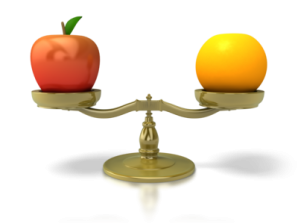 Click here to download a blank COMPARE AND CONTRAST CHART. Click on the image to download a completed sample comparing the main characters in STREET RACER and PLAYING CHICKEN. Click here to download a blank Double Bubble Graphic Organizer. OVERBOARD and WAVE are based on water disasters that the teen heroes – both male and female – must fight to survive. 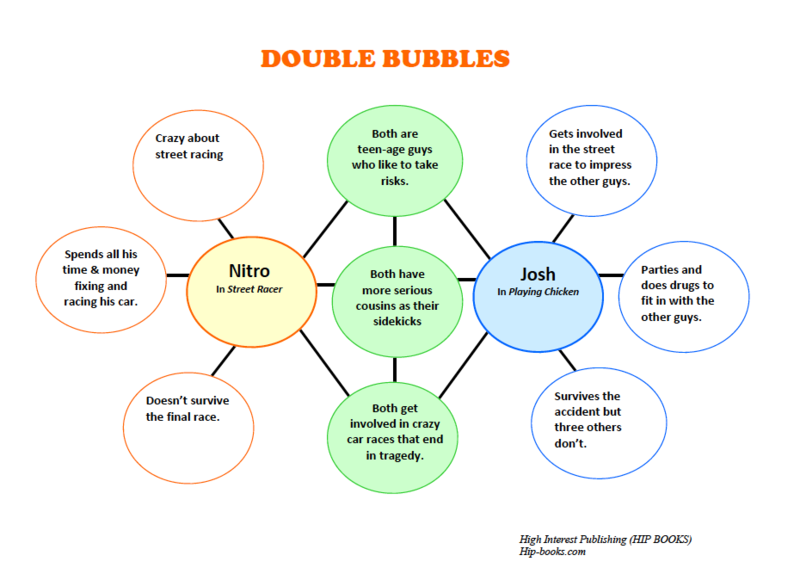 STREET RACER and PLAYING CHICKEN both focus on young men in cars, reckless behavior and tragic results. FOUL SHOT and SCARFACE both feature a sports theme and characters with Asian backgrounds, but the deeper message is in the way each character responds to his circumstances. SURVIVAL and OUR PLANE IS DOWN are both about plane crashes in the bush. Teen heroes must fight for their own survival – and save the others. High school kids do their part to catch criminals – drug dealers and computer hackers – in both HACKER and STUDENT NARC. STREET SCENE and TURF WAR both describe gang conflicts in the inner city. Lovers of horse stories will appreciate the similarities and differences in these two tales of horse rescues – MISTY KNOWS and DARK RYDER. FROZEN and CAUGHT IN THE BLIZZARD both feature teens lost in the Arctic.